BloggingTips.Guru WordPress Free WordPress Theme or Paid WordPress Theme? Is a free WordPress theme worth using and which would win in the free vs. paid WordPress theme debate? It is not as easy a question to answer as you may think, and much depends on the use to which you are putting your WordPress blog. That is fundamentally what WordPress is – a blogging content management system (CMS), although it is now used by many as a regular website with rolling content. The continually changing content once offered by RSS can now be incorporated into a website using WordPress as the CMS rather than a regular website. That is one reason for RSS losing its early impetus. 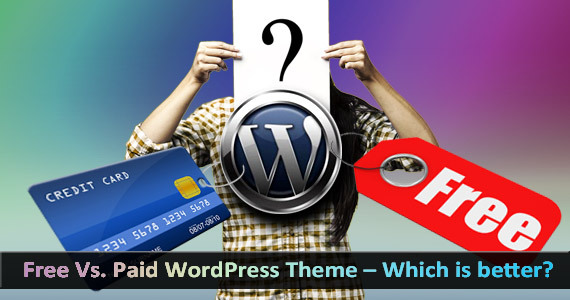 The question stands: if a free WordPress theme is available, then why pay for one? Many, in fact possibly even most people, use one of the standard free themes provided by WordPress, such as the popular Twenty Ten or Twenty Twelve – and herein lies the first problem! It is not possible to switch from one theme to the other without the appearance of your website changing, and if WP ever stopped supporting the old Twenty Ten you would have to redesign your site – at least your header graphic, because the requirements for each are different. Free WordPress themes are not necessarily supported in the same way as their Premium or paid equivalents. Forget the ease of use and range of customization for now, and consider how long you want your site to last. The reason why most businesses use a different CMS to WordPress is that they are not reliant on them for the life of their website. SEE ALSO: Tips to Choose the Best Theme for Your WordPress Blog. Let’s look first look at Free WordPress themes, and then compare them with the paid versions. Keep in mind that we are discussing themes here and not theme frameworks that enable developers to build WP themes. A free theme usually comes with a standard header graphic that can be replaced with a graphic of the same dimensions. It also comes with a limited capacity to customize the blog. Unless you have a good grasp of CSS and HTML, and perhaps in many cases also of PHP, then you may find it difficult to change colors and the appearance of your site, and many also limit number of columns available. Although two columns seem fine to begin with, when you start by using a right-hand column for a blogroll and list of posts, you may eventually require regular navigation on the left. You can’t do it without changing the theme, which might make your entire site look different and confuse your regular visitors. They like continuity – both with the appearance of different pages on your site and with regard to each time they visit your site! 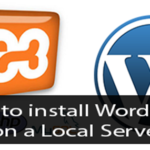 You will also find problems with updates when you use a free WordPress theme. Those who design these with the best of intentions will likely be led in different directions through time, and forget about the free themes that they have offered. You will eventually find your theme failing to resolve with new IE or Firefox versions, or even with new updates to WordPress. Then you will have to change the theme, which often means starting all over again. This could have a negative effect on any search engine ranking you have achieved. It could also distract your regular visitors who might not like the ‘new look’ that has been forced upon you – and them! SEE ALSO: Free WordPress Themes for Your Blog. There are many premium or paid WordPress themes available online. These are most popular with those seeking something more unique and a greater degree of customization in their blog site. If you have little technical knowledge, then you will find that paid themes are easier to use than most free themes. The options interface is generally very easy to use if you want to change aspects such as fonts, colors and headers. You have less need to use plugins to customize your site, and many alterations can be made by clicking a button. You are therefore less likely to find other sites online looking just like yours. SEO is better constructed with the better paid SEO themes. With free themes you rely on plugins, and many paid themes need the SEO elements changed in the coding. However, with premium WordPress themes it is easy to set your Title tags, and H headings just as you want them. Chris Pearson’s Thesis theme is a perfect example of this. You can easily edit and optimize all on-page SEO elements. Paid themes also tend to be updated to concur with the latest version of the WP CMS and to keep in line with any browser changes. While you sometimes find older sites that no longer resolve or load, a paid WordPress theme is updated by the originator to make sure that it does load with all browsers and WP versions. Support with free themes is non-existent, and even with WordPress themes you rely on forums. Forums do not always answer your questions. The better paid themes offer email support should you come across an issue that you cannot resolve yourself. The free themes that come with WordPress have been designed and coded to comply with the standards of the World Wide Web Consortium (W3C). Many free and paid themes are not compliant to these standards. When you use a theme make sure that it is compliant with W3C standards, and others such as the current XHTML and CSS versions. Many plugins will reduce the standards compliance of free and paid themes. SEE ALSO: WordPress Tips for Making an Awesome Blog. There are many other differences between a Free vs. paid WordPress theme, though those above are the major ones. However are they worth the price you have to pay for them? If you are simply running a personal blog, then no! However, if you are running a commercial website with a blog attached, then the support and regular updates are worth the money alone. You can be sure that your website will be bug free and of high quality – otherwise the developer will not be long in business! If you want a smart-looking site where 1001 and more do not have the same, then it is worth the price for a paid WordPress theme. A free WordPress theme is good for an amateur site run as a blog or offering individual products (mini-sites). In between … try the free theme first then decide yourself on the free vs. paid WordPress theme debate.